Boston University defenseman Chad Krys and wing men Joel Farabee and Patrick Harper potted first period goals against UMass Lowell goaltender Christoffer Hernberg, and the No. 5 Terriers eliminated the No. 4 River Hawks from the Hockey East Playoffs with a 4-1 victory Sunday night at the Tsongas Center. 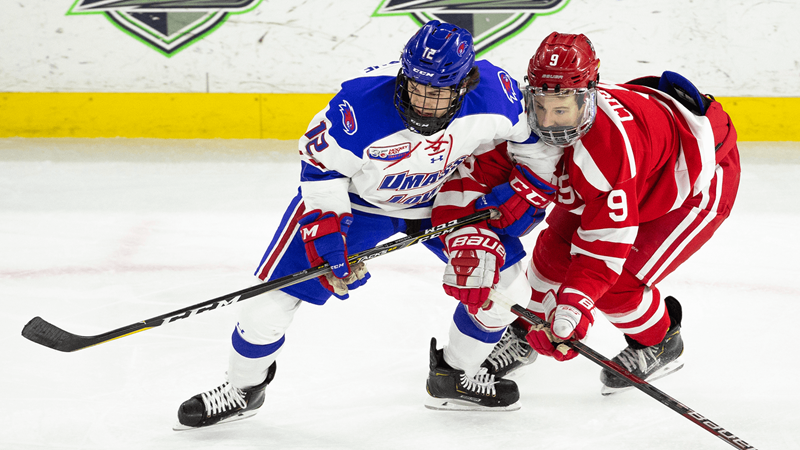 Awful defense and bad turnovers plagued the River Hawks from the opening horn onward, and the Terriers kept the pressure on with multiple odd man scoring chances. The Terriers rebounded from Saturday’s slow start with a bang, as Krys’ goal came just 3:28 into the game, and Farabee’s came a little over nine minutes later on a breakaway attempt after the River Hawks could not get back on defense. The Terriers appeared to score another goal, but it was waved off after the referees determined forward Logan Cockerill deflected the puck into the net with a high stick. It did not matter though, as Harper scored seconds later on a rebound that sailed over Hernberg’s glove hand, making it 3-0. River Hawks head coach Norm Bazin pulled Hernberg after the third goal, but just like Saturday night’s game, a deficit of three goals was too much to overcome. Replacement netminder Tyler Wall played well in relief, however, stopping all 15 shots he faced. The River Hawk offense was especially putrid, only managing three shots on goal in the first period and 18 for the game. The River Hawks did manage a little comeback, as forward Kenny Hausinger scored a third period goal from a one-timer from the slot that sailed by Terrier goaltender Jake Oettinger. The River Hawks had been looking for that shot all game long, but their passes had been unsuccessful until 11:58 remaining in regulation. The loss encapsulates what the season was for the River Hawks; a team that can put up six goals on one night, but only one the next. The season also reminded fans that the team is still youthful, and that attributed to some mistakes on the ice. The win for the Terriers did come at a price, as Farabee left the game halfway through the second period with what appeared to be a substantial knee injury after he was demolished in the open ice on a clean hit by the River Hawks Connor Sodergren. Farabee had accounted for four goals in the series. O’Connell did not have an update on Farabee’s status after the game, but he did not seem too concerned. The referees seemed content to let the players play, as there were only three penalties called. This was surprising as last night’s game featured many penalties, including multiple game misconducts on both teams, after small fights broke out nearing the end of Saturday night’s game. Harper tacked on a second goal via an empty net with only seconds remaining to put the game out of reach. The Terriers will advance to the TD Garden to face either the UMass Minutemen or the Providence College Friars on Friday night while the River Hawks season comes to a disappointing end.